Welcome to Pepper House B&B. Paul and Fran Townsend offer bed and breakfast accommodation in their 16th Century Yeoman's Farmhouse. 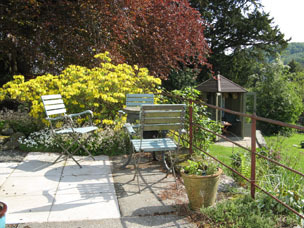 We are located on a south facing hillside on the edge of the peaceful village of Satterthwaite in the Lake District, some four miles south of Hawkshead, in the beautiful Grizedale Forest with its "black" grade mountain bike trail. We are open from April to end October. Pepper House, named after William Pepper who farmed here in the early 1600's, is a Cruck-Frame building dating from 1570, with big oak beams and thick stone walls. Here we offer comfortable bed and breakfast accommodation for up to five guests in this characterful house, set in the heart of Grizedale. Pepper House has hi-speed wi-fi freely available to guests. Satterthwaite is close enough to central Lakeland for ease of access to the more famous fells, whilst maintaining its 'off the beaten track' appeal for the discerning visitor in search of genuine peace and quiet. The popular Lake District village of Hawkshead with its Beatrix Potter attractions is only four miles away. 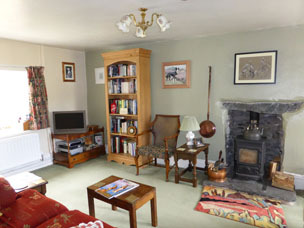 Your hosts Paul and Fran have been running a b&b in the area for many years and are keen Lakeland enthusiasts. We will be happy to suggest walks or places to visit and have a good range of local maps, as well as pictorial histories of the Lakeland buildings and traditions. Hawkshead is often referred to as one of the most picturesque villages in the Lake District. The whitewashed houses, cobbled alleyways, courtyards and squares of Hawkshead, make it a pleasure to explore.